I can still just recall the eyes: blue, I think they were? 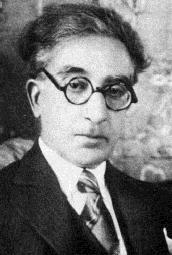 Constantine Cavafy (1863 - 1933) was born in Egypt to Greek parents, grew up in England, then moved back to Egypt. He spent most of his early life in poverty and most of his adult life working as a government clerk. Constantine didn’t begin writing poetry until after his fortieth birthday, and achieved very little acclaim during his lifetime, although today he is considered one of the twentieth century’s most prominent Greek poets. I like short poems - and that is not (just) because I am lazy. I am interested that this is seven lines. Sometimes mine are twenty-one. There was one which I wrote in my adolescence called 'Survival of the Biggest', which was twenty-one lines long. I think it was inspired by Wilfred Owen's 'Dulce et Decorum Est' which is twenty-eight. I wonder what it is about the power of seven. In Cavafy's poem, I feel he expresses uncertainty about whether his memory is really fading or whether it was imagination all the time. With such romantic glimpses, fantasy might well be the origin.